In May we had the amazing opportunity to go to Greece. We decided since Isaac was graduating from Law School it would be the perfect time to go before he started studying for the bar and getting a job. May is the perfect time to go to Greece. The weather could not have been better. Although one note about going before the peak of tourist season is that many tourist sites close at 3pm instead of 7 or 8pm. Especially due to the current economy and the employee cutbacks they have had to do. So plan your day accordingly. So we began our adventure by getting lost. Of course that is the best way to find great places to photograph. We rented a gps with the car, and I must say, it was good we had it, but at times very frustrating. The gps system in the Greece did not function like I’m used to in the United States. The gps could take us to the city center, but not always to an actual address we were looking for. And since the maps that AAA and the rental company provide are pretty much useless, as they do not include street names, the gps at least could get us near where we wanted to go and then we would just drive around until we found it. What we learned: If you are planning on driving in another country, buy a good map with detailed streets. The free ones you can get aren’t always the best. But we managed to find everything we were looking for, and more! We stayed in Vravrona, a little town about an hour outside of Athens. While trying to find our hotel, The Mare Nostrum, we got a little lost. But we found a great place to photograph the sunrise. I loved the wild flowers growing everywhere! Again, May, the perfect time to go to Greece. And the water was so clear and beautiful. I just wanted to jump in. After getting lost most of the day Saturday and then finally getting a little sleep and finding our bearings Sunday, we ventured up to Marathon on Monday. The drive was about an hour, on mostly windy, small town streets. The gps took us to the city center, no kidding, right to the very center, in the middle of very narrow streets and houses the gps announces, “Arrive at City Center.” We looked around and thought, “Oh good, just where we wanted to be, the exact center of the city in a lovely neighborhood.” We drove around, turned around a few times, and finally made our way up the side of a mountain, following a sign to Marathon Lake. Great! And then we arrive at a bride that crosses the lake. Notice the sign that has an explosion in the back of a car. 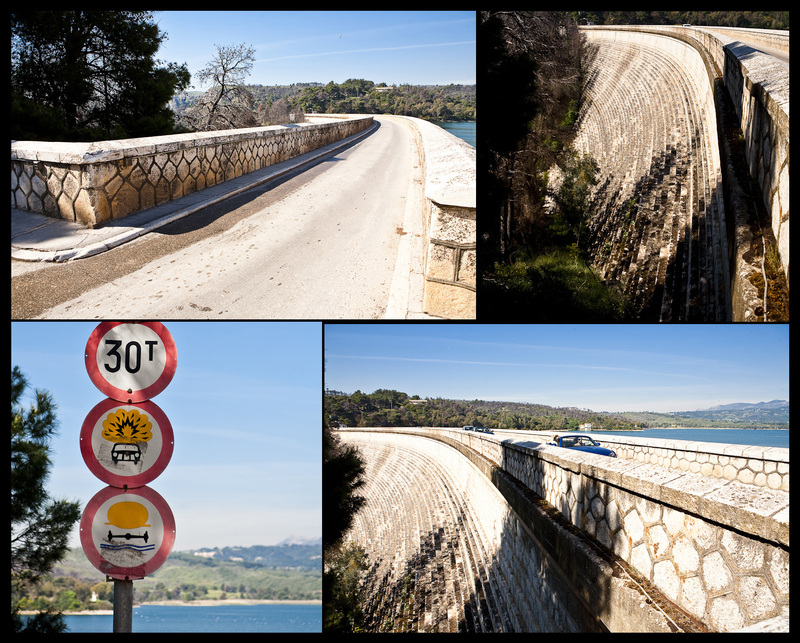 Yes, if you cross this bridge your car may explode. Actually it is a very narrow bridge and only one direction of traffic can cross at a time, so there is a stop light at each end to direct traffic. One of the things I loved about driving in Greece is that everyone is very aware of the other drivers. It may be a bit more chaotic than how we drive in the US, but I believe people there drive with a sense of where other people and drivers are so they don’t cause accidents. Pretty crazy though. After our adventure crossing the bridge, we headed down to the bottom of Attica (the island Athens is located on), to the little town of Sounio. 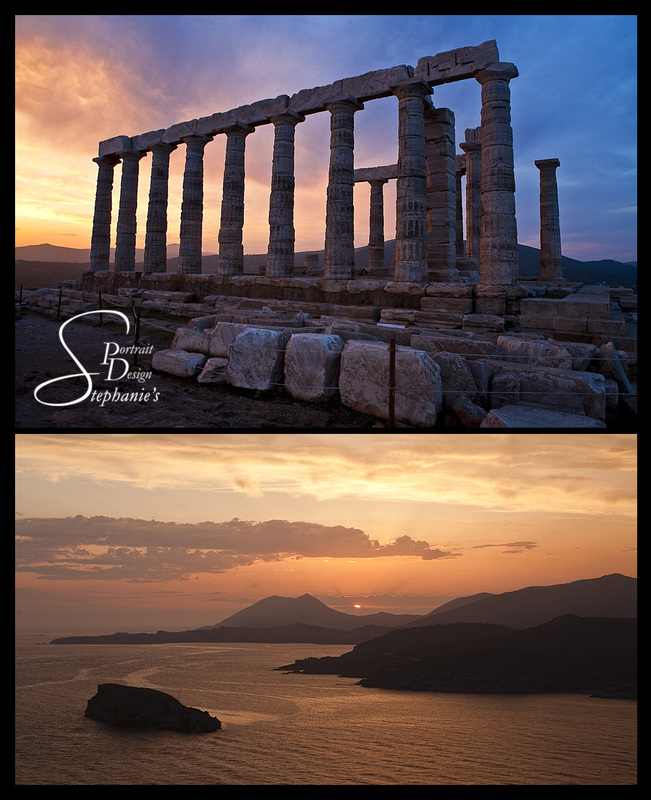 I wanted to photograph the Temple of Poseidon at dusk. And the drive through the little towns along the way was delightful. 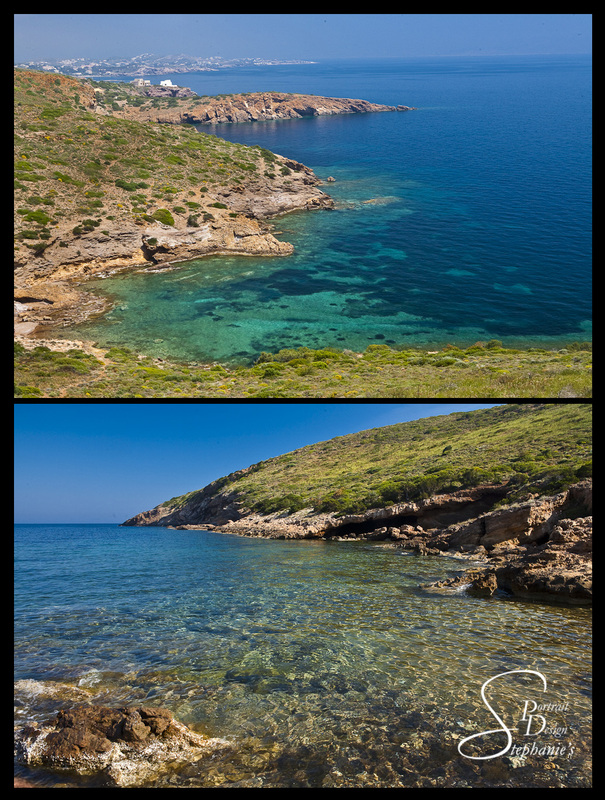 We found a beautiful beach that we hiked down to and enjoyed the fresh, cool water. It was the most beautiful place. 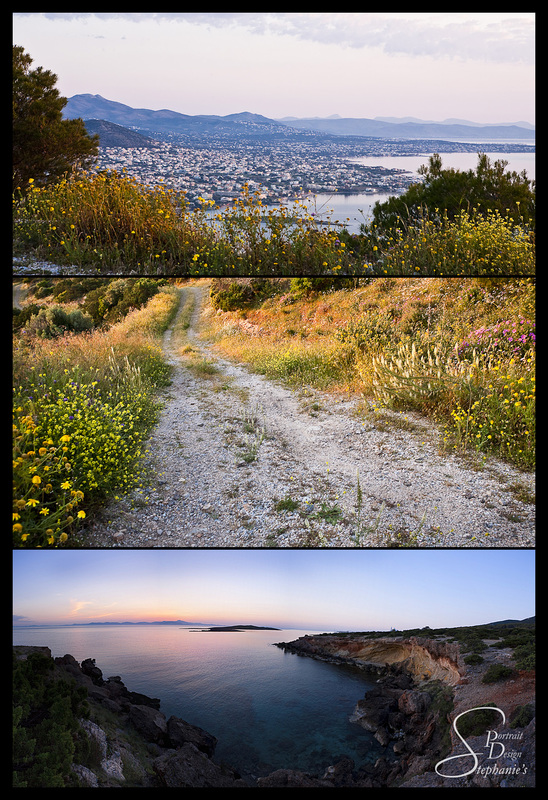 We were a little early to photograph the temple as the sun set, so we drove up the road to the town of Lavrio. This town was so quaint. We enjoyed a stroll around town, and the gyros we ate for lunch were the best things we ate the whole trip. I love the cafe feel of eating outside and enjoying the nice breeze. I only wish I had taken a photograph of the delicious gyro. I was so excited to eat it I forgot to photograph it. I wish we had a nice place to get a quick, tasty gyro for lunch around here. Tuesday was amazing! 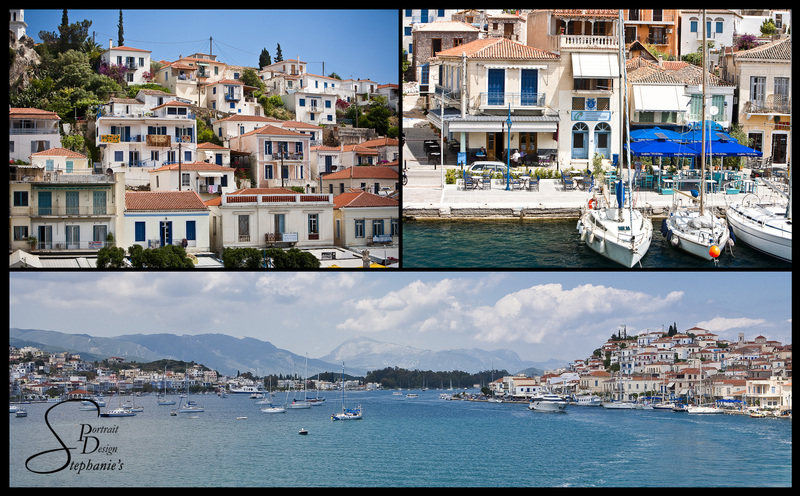 We visited 3 of the Saronic Islands, Poros, Ydra, and Aigina. We wandered around on Poros and found the houses built almost on top of each other. The street was lined with shops and cafes. 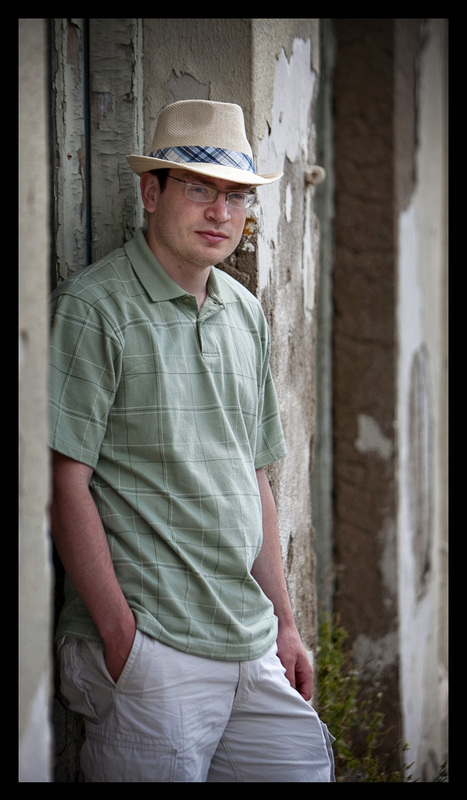 Isaac even picked up a nice hat (thanks Mom) to keep his head from getting burned. Then we went on to Aigina. This island is much larger and has lots of agricultural land. They grow lemons, olives, and pistachios, to name a few. 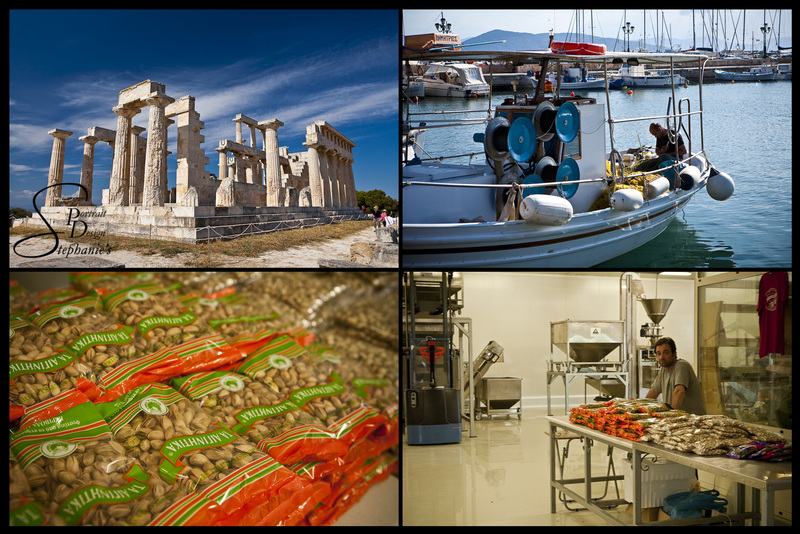 We visited the Temple of Aphaea and a pistachio factory. The pistachios produced on this island are roasted with lemon juice and salt. They are delicious. We also came upon a fisherman mending his nets. Aigina was bustling with activity. An interesting fact about the Temple of Aphaea, the Temple of Poseidon (we visited the day before), and the Parthenon (which we visited the following day), is that they form a perfect equilateral triangle. Amazing! The ancient Greeks were phenomenal at math, science, and so many other things. After a fun filled day of touring the islands we enjoyed the ferry ride back to the main island of Attica and headed back to the hotel for much needed rest. 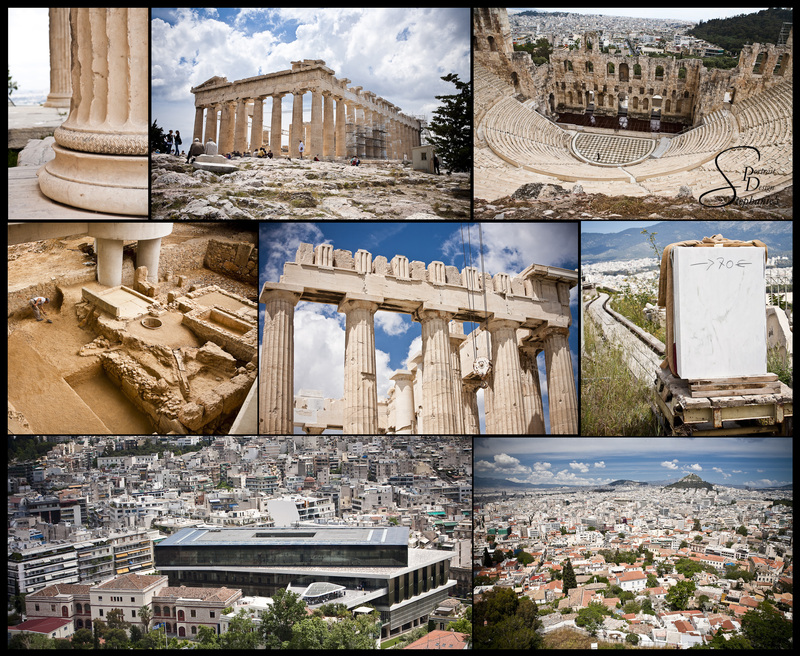 Wednesday we headed into Athens, called Athina by the people of Greece. We planned our trip to the Acropolis for this day because it was International Museum Day. If you do some research, sometimes you can get great deals on museums and other attractions. Aside from there being a ton of other people taking advantage of the free day, we enjoyed our day in Athens. We started with the Acropolis Museum which helped us learn more about the development of the Parthenon over the centuries. Fascinating stuff! I loved the Acropolis Museum. It is fairly new and they did an amazing job designing it. They built the museum on top of ruins with glass walkways so you can look down and see the ruins below. And the top floor of the museum is a to scale replica of the Parthenon. You are able to walk around it just as you would be walking around the real Parthenon and look at the sculptures, called Friezes. Some of the sculptures were stolen by an Englishman in the 1800’s and now reside in a museum in England, but the Acropolis Museum was able to get replicas to display along with the originals. It is incredible! The Parthenon in currently undergoing restoration. It is amazing the technology we have to be able to restore such ancient ruins. And it is amazing many of these ruins have survived so many centuries. We could also view the Odeon of Herodes Atticus, a theater built by the Romans, where they would host plays and other events. Today they are still open and host live theatrical performances and events. 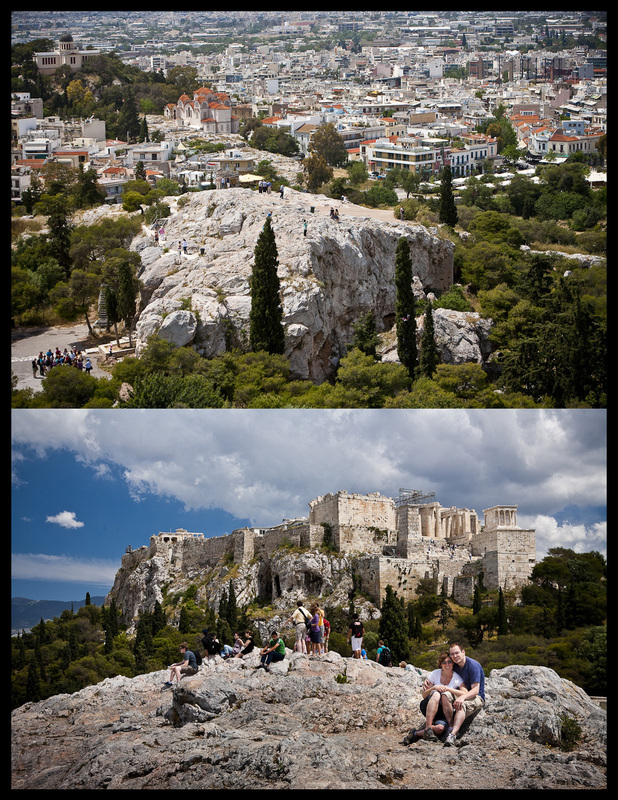 After we climbed the mountain to the Parthenon we headed over to Mars Hill, called Areopagus by the Greeks. This is where the apostle Paul gave his sermon about the Unknown God. Then we went to the Agora, or shops, where there are cafes and shops. Ancient philosophers walked and talked here (this is why Isaac wanted to go to Greece). We ate at a great little cafe along the way. We came across a couple fruit stands with its vendors calling out to the crowd to come buy their delicious fruit. And we even came across a few street performers. Not that it is a highlight in this country, but we were appalled at the amount of graffiti everywhere. There was hardly a place that wasn’t tagged. It really is unfortunate and it makes me grateful that at least in our city, they try to cover graffiti fairly quickly. But I still really enjoyed Greece and found it beautiful. 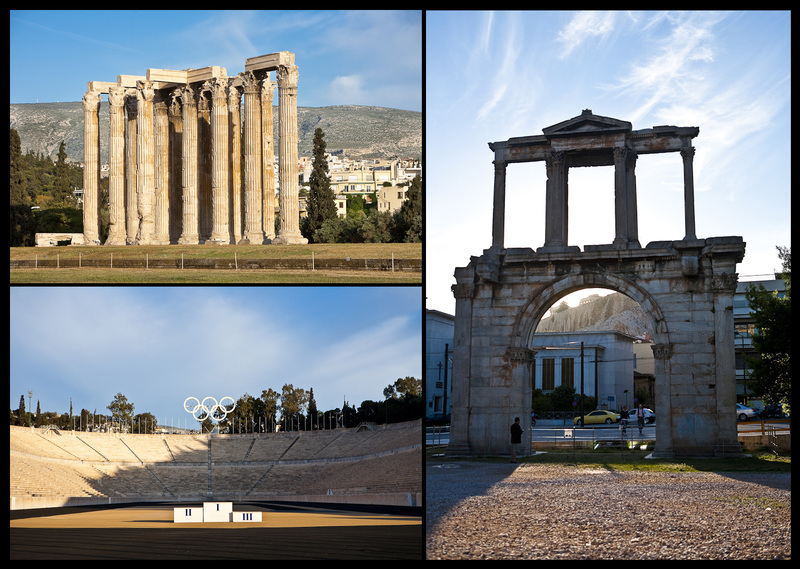 Our last stops in Athens were the Temple of Olympian Zeus and Hadrian’s Arch. The columns that make up the temples have a diameter that is taller than me! We also visited the Olympic Stadium, where the 2004 Olympic Marathon finish line was held. After a long day of walking around Athens we rode the metro and took the bus back to our hotel. It is a lot easier to take the transit into Athens than drive and park in the city. There is so much traffic that they have laws if you have a license plate ending in an odd number, you can drive into the city on odd days, and even number on even days. And there is definitely no place to park anywhere. So we walked and it was splendid. Thursday we drove to Delphi. Delphi is a couple hour drive northwest of Athens. It was a rainy morning as we drove, but it was very beautiful. Everything was so vibrant. 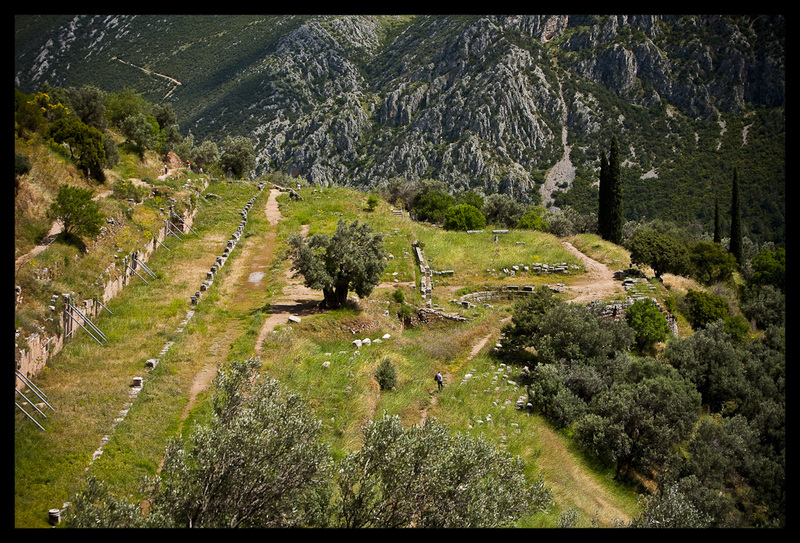 The Oracle at Delphi is where the citizens of Greece would come to ask questions and receive prophesy from the Oracle. And just a little down the road was the gymnasium, where athletes would train for competitions. You can still see traces of the track and baths. 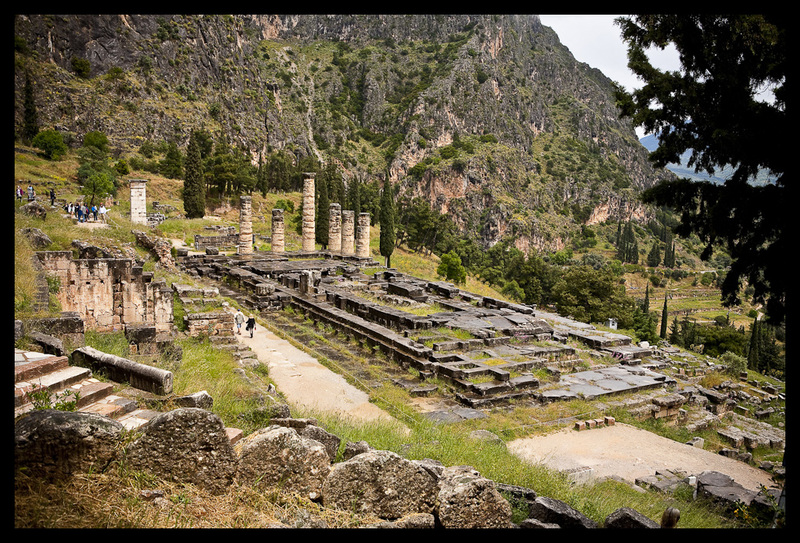 Also at Delphi was a theater and an arena where they held their competitions. I’m still amazed at how much the Greeks created and how much still remains today. I’m so glad we were able to go visit and learn so much history. Friday we enjoyed a relaxing day by the pool and swimming in the Mediterranean Sea. The Mediterranean sun can be beastly. It is definitely a must to wear sunscreen. 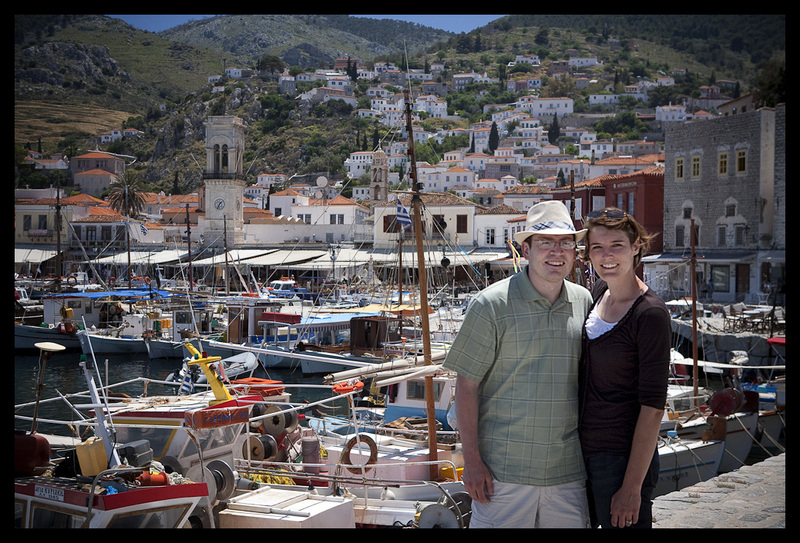 The water was refreshing and the memories we made during our time in Greece are a treasure. We had such a great trip! 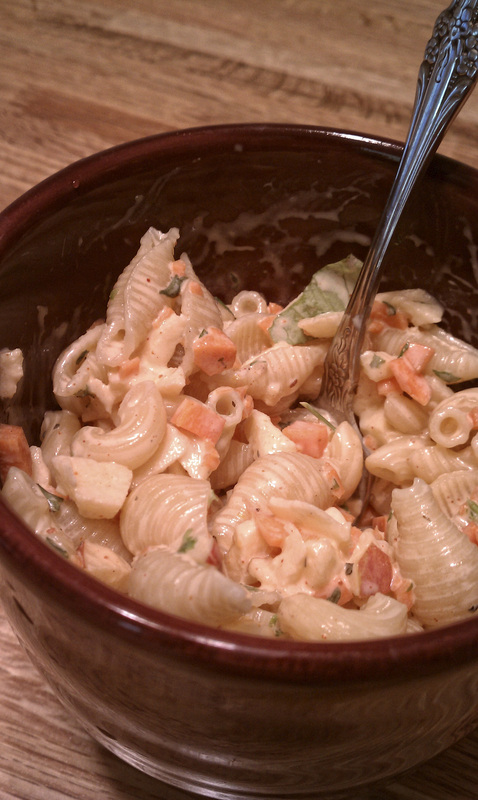 Okay, so I have never been a pasta salad fan. I really don’t care for mayonnaise so that includes most things that use it. However, Isaac was wanting some pasta salad one night and he looked up a recipe and made/adapted it from there, because that is what we do, especially when we don’t have all the ingredients in the house. I hesitantly tried a bite of this said salad and loved it. So now, I hate to admit it, but we make this a few times a month. It is a great, quick lunch and delicious left overs. And yes, I admit, we are a little odd and put apples and carrots together, and a lot of them because, well, we really like our vegetables and fruits. Also, we don’t measure anything in this recipe so when we wrote it down we did the best we could to bring it to your kitchen. Also, use these amounts for just the two of us, so if you are cooking for a larger crowd you will want to double it. Cook half a box (8 oz) of dried pasta, whatever type you want, shells, elbows, bow-ties, whatever you want! Just not the long spaghetti type pastas, although it’s your salad so if that’s what you like who am I to deny you. Cook until done and drain. THE SAUCE – Put 1/2 to 3/4 cup apple cider vinegar in a medium to large mixing bowl, add about 2 TB of sugar and 3 tsp kosher salt into the vinegar and mix so that they dissolve in the vinegar. Add about 3/4 cup mayonnaise (I just scoop it in with a spatula straight from the jar until it looks about right so that I have the consistency I want, it will break up kind of weird because it doesn’t like to mix with the vinegar, don’t worry it will be fine). Mix well. Add spices – 1 tsp fresh ground pepper, 1 tsp ground mustard, 2 tsp paprika, 1-2 tsp basil, we like to use fresh, but dried will also work, 2-3 tsp parsley again we like to use fresh but also use dried, sometimes both. Rinse pasta in a colander, drain the onions at the same time (we just pour the onions on top of the pasta in the colander.) Add the carrots and apples to the sauce. Add the pasta and onions to the rest of it, mix well. You can eat it right away or refrigerate before eating. Yum! We hope you enjoy.